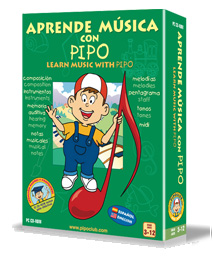 Will introduce children to the world of music in a very entertaining way. Music composition, instruments, musical hearing memory, musical notes, melodies, staff and tones. Your child will become familiar with reading a staff in treble clef, learning the correct name to different instruments, identifying sounds, identifying the musical notes on a keyboard, etc. Imagine being able to record your favorite melodies, and have your child learn them! 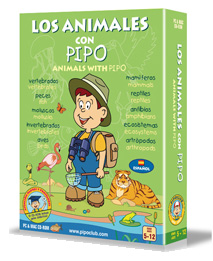 Will help our children discover and learn an abundant amount of facts about the animal world. Children with discover important characteristics about animals as well as specific information. Your child will learn why jelly fish sting, why birds fly, how to tell apart a mammal from other animals and reptiles, these are just some of the activityâ€™s your child will become familiar with. 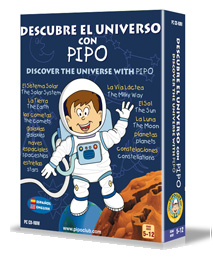 A program designed to help children become familiar with space in an entertaining and stimulating way. Children will experience and study the rotation of the Earth, the movement of the moon and the solar system, comet, galaxies, spaceships, stars, the milky way, the sun, plants, constellations, etc. 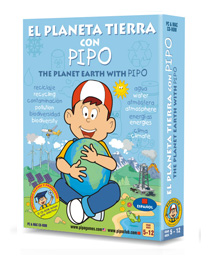 An educational product, that teaches children through illustration and games. Children will learn important information about our planet and will understand why it is necessary to take care of our environments. As children make your way through the games they will gain knowledge on areas such as biology, geology, human and physical geography and environmental sciences.